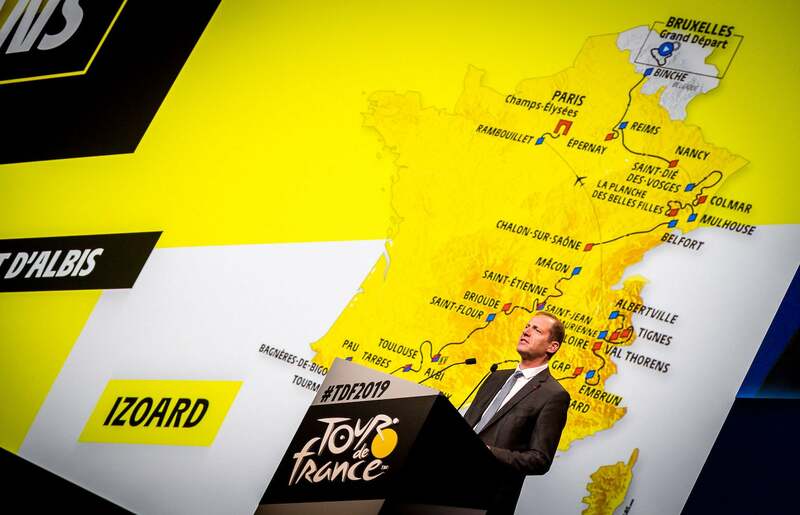 The Tour de France loves to honor its own history. 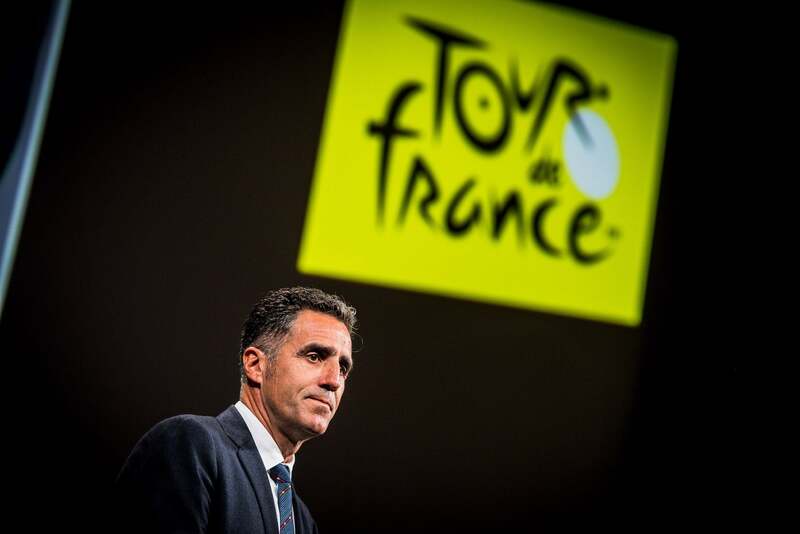 And on Thursday at the 2019 Tour de France presentation in Paris, the honor roll was long. 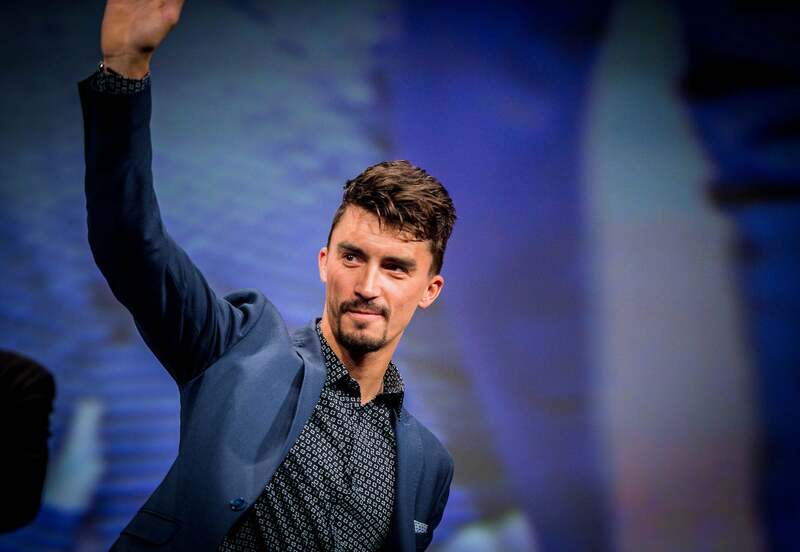 The 2019 Tour marks the centennial of the of the distinctive yellow jersey, introduced into the race midway through the first edition after World War I to better distinguish the race leader. 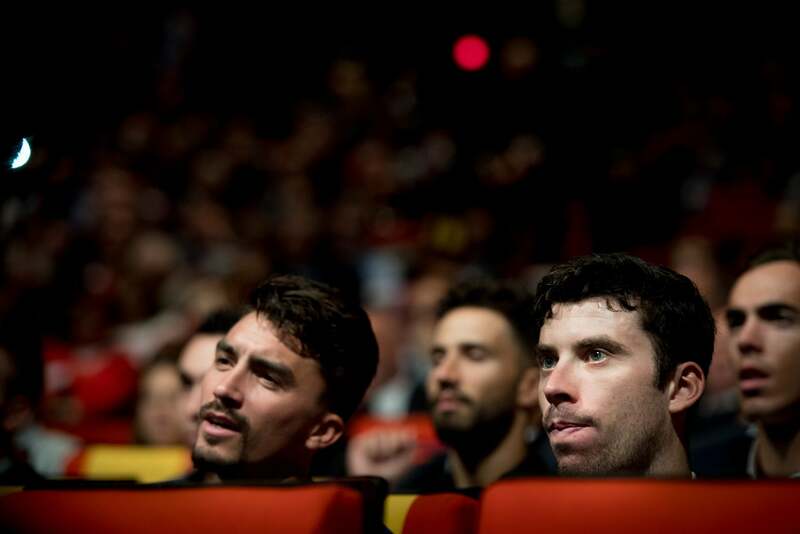 And to celebrate the golden tunic, three of the Tour’s official five-time winners—Eddy Merckx, Bernard Hinault and Miguel Induráin—were all on hand. 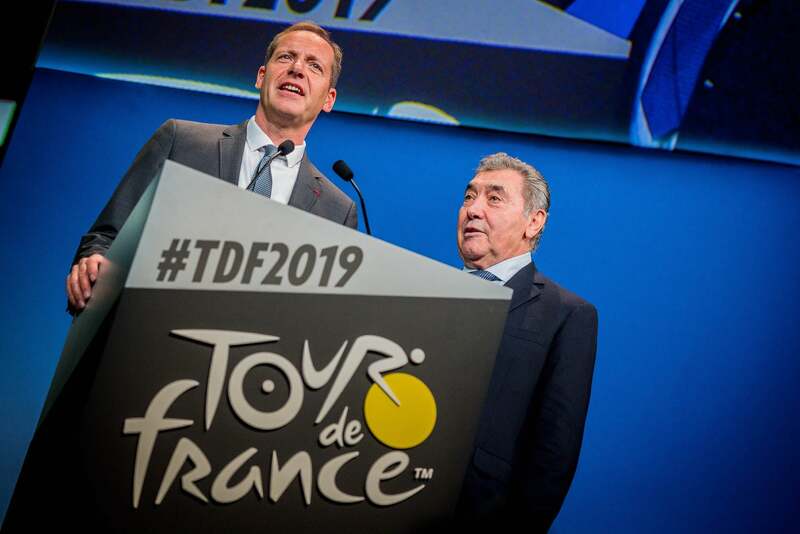 And while Hinault may be a familiar face at Tour events, it was the first time in more than 20 years that Induráin or Merckx came to the annual “party” in Paris. 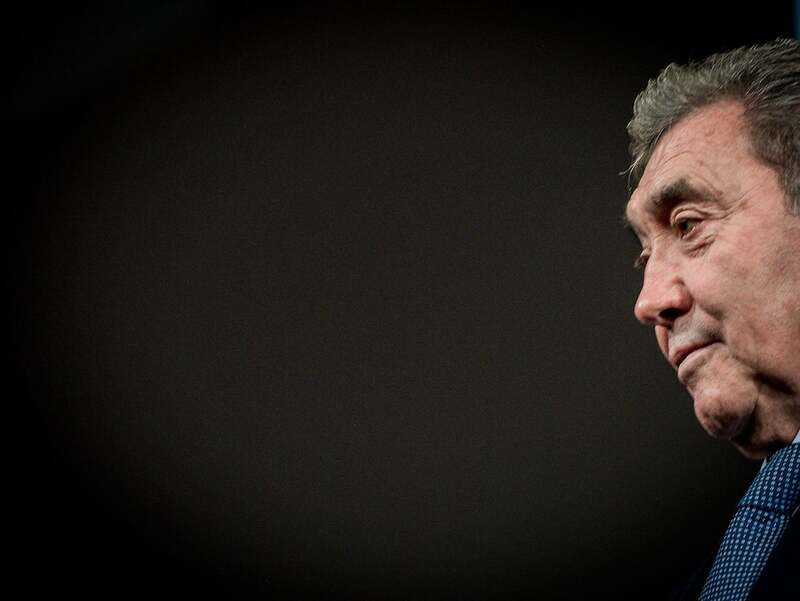 And in many respects Merckx stole the show—but that was likely orchestrated by the race organizers themselves. After all, the Tour’s 105th edition will start on July 6 in Brussels, the Belgian legend’s hometown, celebrating the 50th anniversary of the first Tour victory by the sport’s most decorated champion. 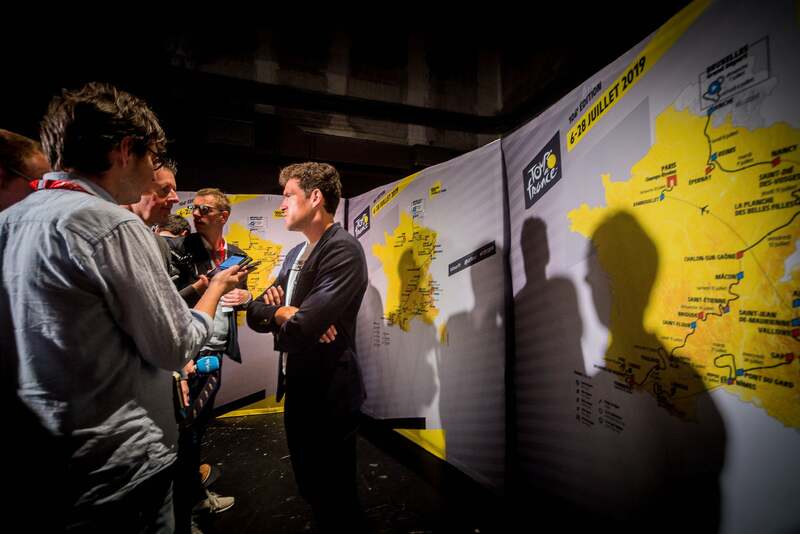 But while the Grand Départ in Brussels was well publicized before the presentation, most of those on hand in Paris came to discover what would follow when the three-week race leaves the Belgian capital. They discovered that it will head straight into the heart of French Champagne country with a finish in Épernay and a start next day in Reims, before moving east to the Vosges mountains with a first summit finish on the always-telling Planche des Belles Filles—but with an added kilometer to the climb with 20-percent grades! Meanwhile, for those who also enjoy the Tour de France because it is also a tour of France, there promises to be plenty of postcard shots, especially in the south. The Tour’s newest summit finish at Foix scales the nearby Prat d’Albis mountain that climbs for 12 kilometers at an almost 7-percent grade. The next stage passes below a magnificent Roman aqueduct, the Pont du Gard, on its way to Nîmes and then returns to start the following stage at the foot of the Pont. 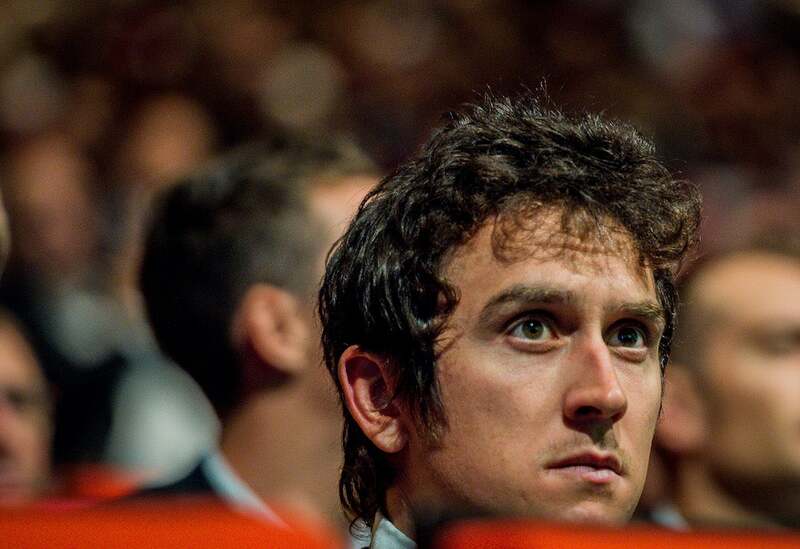 Even defending champion Geraint Thomas of Team Sky was non-committal, saying simply that he would wait two more weeks before making decisions about his 2019 season. 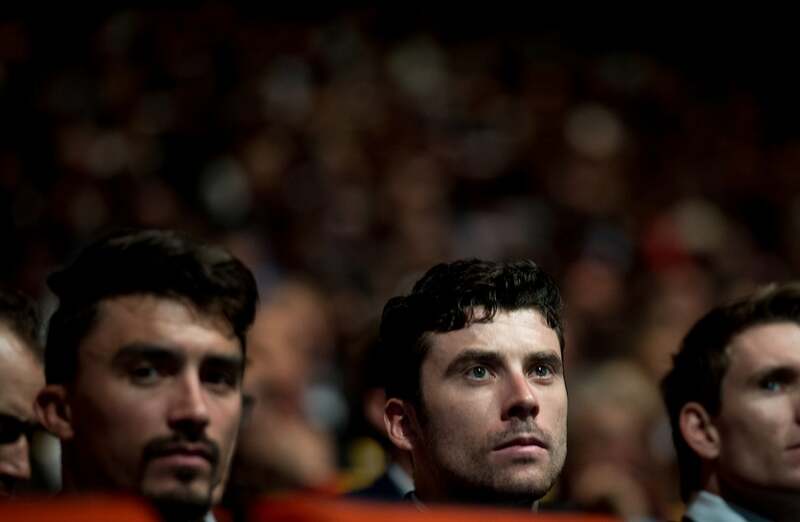 Thomas, according to some, could instead focus on the Giro d’Italia, a race he has yet to win, leaving Tour duties to teammate Chris Froome. Only third this year, Froome nevertheless is a four-time Tour winner and he has made it clear that he will return in 2019 with his eye on another victory—so that he can join Merckx, Hinault, Induráin and Jacques Anquetil in the elite circle of five-time winners. 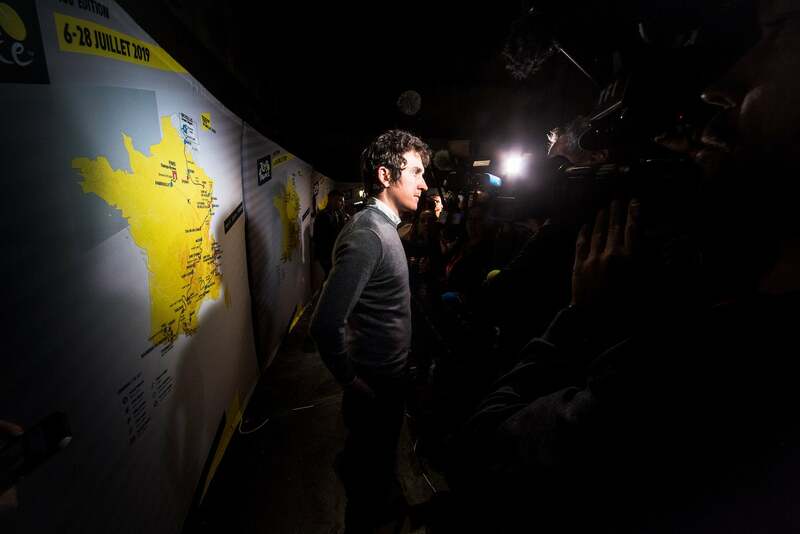 Like the Tour itself, Froome it seems, also has an eye on history.